It has never been easier to execute your trading strategy. Our Trigger Trading Technology™ means you can now automatically execute your trades directly in the world’s global markets. You will need Adobe Flash Player installed on your computer to view the Interactive stock charts. You can also create your own custom indicators by applying mathematical functions to indicators, or indicators to indicators, for example an RSI of a Moving Average. 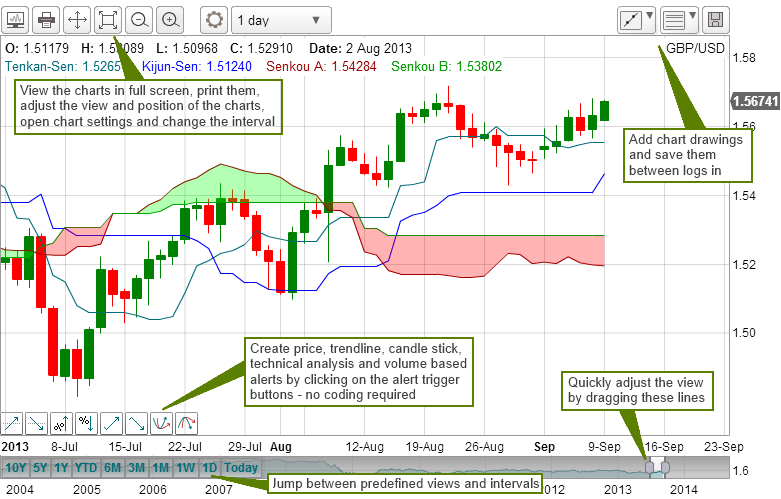 The source data for the indicators can be based on current or past Open, High, Low, Close and Volume data. New indicators are added all the time as per our members' requests. If there is a particular indicator that we do not currently support that you would like to see added to the stock charts, please contact us. 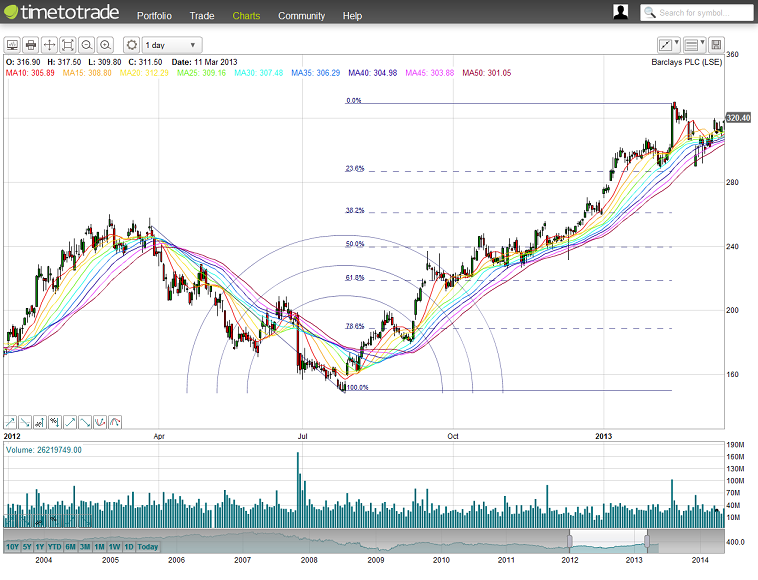 For a current list of public custom indicators that you can import into your chart settings click here.